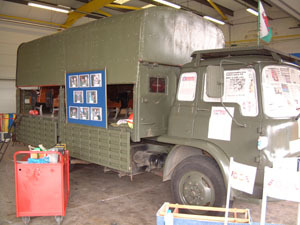 The Maintenance Section primarily looks after the two bedford military vehicles, which were purchased by the Squadron some five years ago. Both vehicles are fitted with 7 double coach seats, seat belts, fire extinguishers and first aid kits to comply with the Ministry of Transport Regulations governing mini buses. 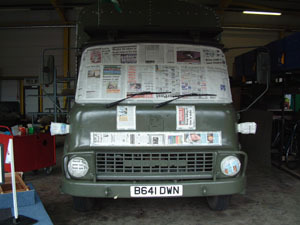 The Cadets of the Maintenance Section are responsible for servicing, repairing and hand painting the vehicles, which are kept undercover in the TA Garages. The vehicles have been extensively used throughout the UK and are ideal; for carrying band equipment, adventure training equipment etc for the Cadets.